Training for a half marathon is serious business. Going from my 2nd C-Section on 2/1/15 to running my first half-marathon on 11/7/15 may seem like a daunting proposition to some. But, by setting the right goals for my race and a realistic training plan, I'm excited as I begin looking ahead and laying out a training plan that's right for me. The Wine and Dine Half-Marathon and the Jingle Jungle 5K presents me with 16.2 miles to accomplish in less than 24 hours. This will be the 1st half-marathon that I've ever run so I have 2 very ambitious goals for the day - finish both races without passing out and not to get swept off the course. As you can see, my goals for postpartum training are realistic. I'm not going out to set a new course record; just looking to have a good time and get back in shape. 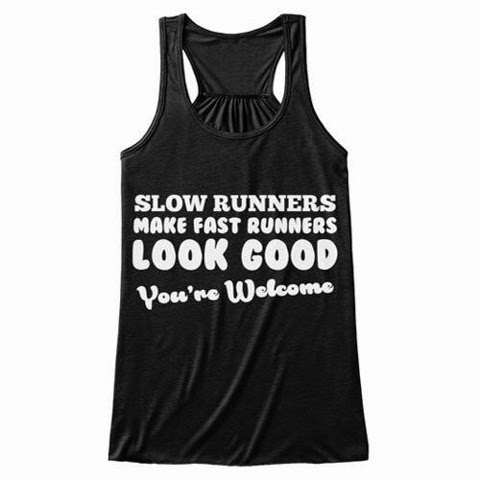 This should be in my closet! April and May - These two months are all about getting moving again. I'm using a combination of walking, yoga, and workout videos to build muscle and cardio strength. I think it's important to get my body moving again without immediately putting the stress from running on it. These lower impact and short workouts also fit nicely into my life as I try to figure out balancing work, home, and 2 little boys. June and July - Couch to 10K - I've done the Couch to 5K plan in the past and enjoy the way the program combines running and walking to ease you into training for your running goals. I'm planning on running a 10K in July so that I can submit a proof of time for my half-marathon. I really hope that I don't end up in the last corral to give myself a buffer from the course sweepers! August through November - Jeff Galloway's Half-Marathon Training Guide - runDisney has paired up with Jeff Galloway to create a training plan for each of their races. His training plans have workouts for beginners through veteran endurance runners. I've read through his training plans on the runDisney website and have found them really easy to use and they seem to be manageable with my busy work schdedule. Sounds easy, right? Well, maybe easy isn't the best word, but definitely manageable. I'm excited to see where the journey takes me and I hope you'll stick around for the ride!